Every major tech company has a vision, product or POV for improving health and wellness. Digital health funding is at an all-time high. Consumers can track steps, sleep, blood glucose, weight, and even medication compliance. Health data is being generated at a furious rate. Doctors are digitizing their practices and increasingly connecting with patients digitally. But herein lies the challenge. 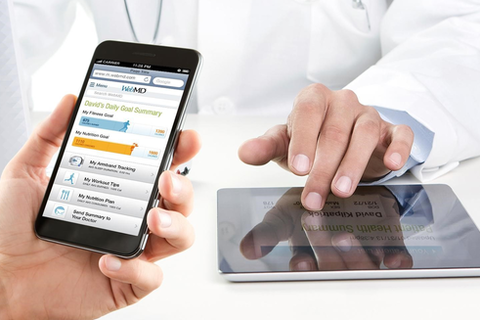 Are consumers and physicians ready for the health data revolution? Is there such a thing as having too much data? This session provides insight into both belief and behavior; the current state of consumer–physician readiness; and what’s being done to make data actionable enough to change human behavior. Dr. Michael Smith, Chief Medical Editor at WebMD, sits down with a physician and biometric device user to shed light on the subject. Dr. Michael Smith first joined WebMD in 1999, and now oversees a team of staff physicians and medical reviewers across the U.S. responsible for creating content and assuring its continued medical accuracy and relevance to the WebMD audience. Dr. Smith is a regular expert on national and local broadcast media, including regular appearances on The Weather Channel and a monthly feature on Fox 5 News in New York and more to discuss the latest health headlines.